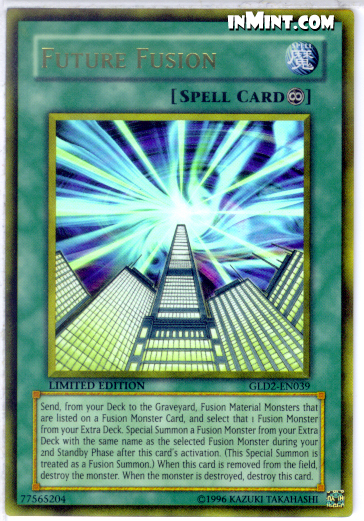 Send, from your Deck to the Graveyard, Fusion Material Monsters that are listed on a Fusion Monster Card, and select that 1 Fusion Monster from your Fusion Deck. Special Summon the selected Fusion Monster during your 2nd Standby Phase after this card's activation. (This Special Summon is treated as a Fusion Summon.) When this card is removed from the field, destroy that monster. When the monster is destroyed, destroy this card.